Excellent design, not the lightest but a great pedal for club rides. Excellent pedals, light and easy to get in and out of. Great value purchased as a bundle with Shimano shoes. 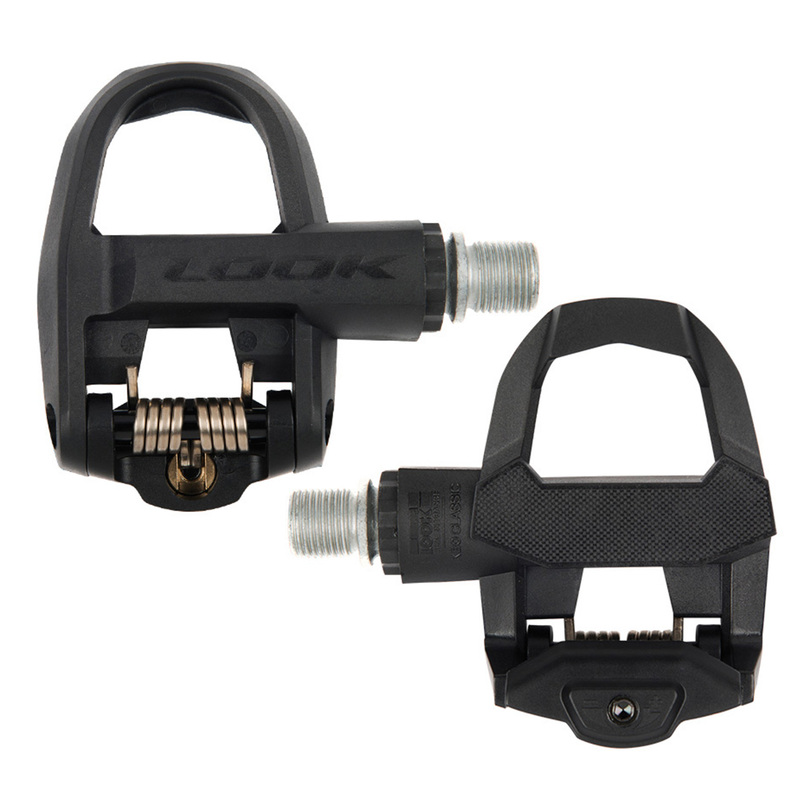 Great value pedal, light, adjustable and without the silly price tag of the higher models in the Look range. Had an older pair for a few years that wore out at the plastic foot plate - on these I believe thats been improved. Excellent pedal for the price point, well made and light enough for the enthusiast. The 3rd pair of Keo Classics I purchased - for my gravel bike this time. Have the same on my 2 road bikes. 1st pair more than 8 years old and still going. Very good looking spd sl pedal, nice color & looks. The clipping in & out are very easy and secured with a grey Look Keo Grip Cleats (comes with the pedal in the package). The tension can be adjusted also and easy to install using allen wrench. Highly recommended SPD SL Pedal. Great materials used & finished. I`m very happy & satisfied with my choice.